Cavalryman-turned-showman Philip Astley (1742-1814) is considered the creator of the modern circus, adding acrobats, rope-walkers and clowns to the trick-riding displays he and his wife gave from 1768. 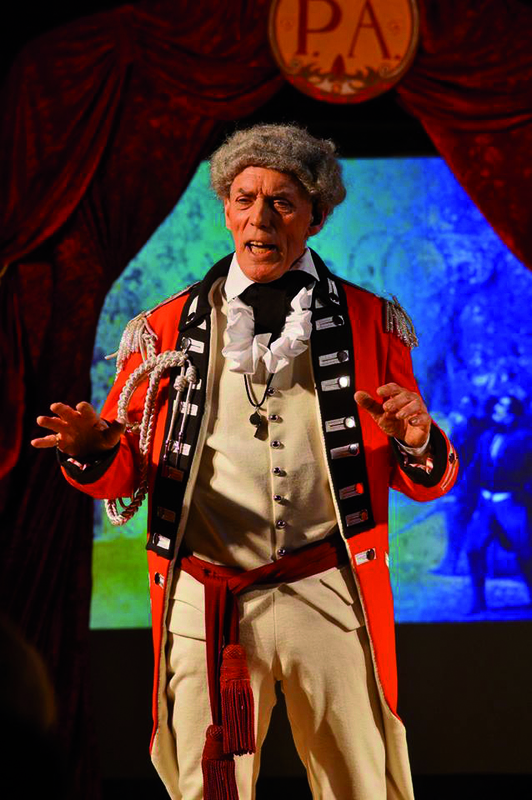 Fresh from the Edinburgh Festival, Chris Barltrop’s one-man play, Audacious Mr Astley, celebrates 250 years of circus. Astley tells his own story, giving an impression of the man as well as sketching his career. Chris Barltrop is a writer, actor, performer and ringmaster.